At The Rumble Room we have a dedicated team that will guide you in every step of your fitness journey. All of our trainers are industry professionals suitably qualified to bring you results and keep you motivated. In this new age of fitness there are many “trainers” that claim to have experience. Unfortunately you can’t gain experience by just going out and obtaining the basic certificates in fitness. You must also walk the walk if you are going to talk the talk. As well as gaining the necessary qualifications, our boxing trainers and coaches have actually stepped into the ring and faced off against opponents many, many times. You cannot get this experience in the classroom. So at The Rumble Room you are really getting the best in fitness!!! 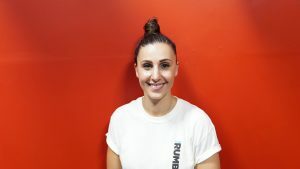 Amanda was head hunted to bring her expertise in Resistance training and Boxing to The Rumble Room. She has been lifting weights for over 10 years and specialises in the areas of strength and physique development. She has been boxing since 2011, and has been a full time coach for over 3 years. In 2018 she competed 3 times in Powerlifting in the 72 kg weight category bringing home some impressive numbers, and carries an extensive knowledge in bodybuilding and achieving body composition with her clients whether that be for: Fat loss, Muscle Gain, Sports Performance or Injury Prevention geared toward General Health & Wellbeing. Amanda has developed a unique 6 week mindset course, that offers her clients a practical set of tools and strategies to help them stay on track long term. She offers one to one coaching, online coaching, semi privates (4 on 1) and small group training. All of her clients receive an initial movement screen which tests for current lifting skill level, core strength and mobility, along with a sit down consultation to address lifestyle habits against personal fitness goals. All of her programs are based around evidence based principles of training, proven to bring clients real results. I believe that I started my career in health and fitness from a very young age, I have spent much of my life playing Basketball, Football, Tennis and in my latter years developed an interest in Martial Arts. I think that a holistic approach to health is most sustainable and thus I encourage everyone in my life to live in this way. I am extremely passionate about my practice of Martial Arts as it has taught me to be disciplined when I want to achieve something. 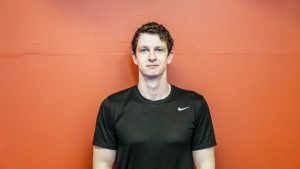 I am delighted to work in this industry as it gives me the opportunity to develop relationships with like- minded people and allows me to influence people within the community to prioritise their health. Having worked in Aged Care I’ve seen the benefits of functional training and know that it is never too late to make a change in one’s lifestyle. I hope that during my fitness journey as a personal trainer that I can positively impact many lives and continue to see those around me be engaged in a proactive and fulfilling life.